Moving to Victoria? Or, need a central location to holiday here? 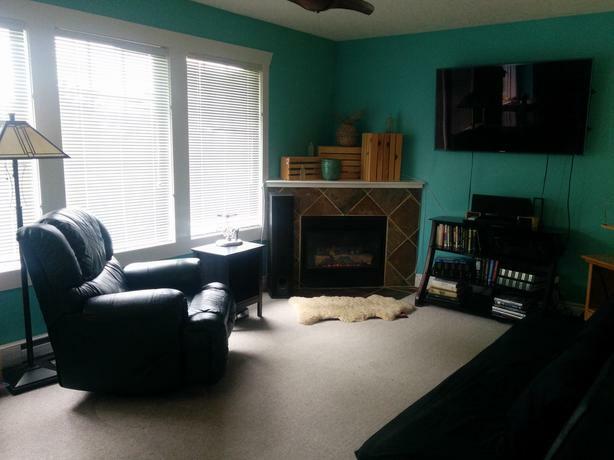 We have a FURNISHED SUMMER RENTAL for JULY, and AUGUST in BEAUTIFUL VICTORIA, BC. Our bright Southwest-facing ONE BEDROOM Apartment has a KING SIZE BED and is available to rent on the UPPER FLOOR of a new house in a quiet neighbourhood. It is located 10 minutes walking from: The PACIFIC OCEAN, a Recreation Centre with Gym & Pool, Library, Grocery Shopping, Miles & Miles of Trails & Beach Hiking in Saxe Point Park, and along the famous GALLOPING GOOSE HIKING & BICYCLE TRAIL. There is Free Street Parking and the suite comes with a PRIVATE BACKYARD and BBQ, private in-suite W/D, DW, Gas Range & Cooking Microwave. Rent is $1395.00 MONTHLY for EACH month of JULY & AUGUST - Total $2790.00 for JULY and AUGUST. ALL UTILITIES are included including a SUPER-FAST UNLIMITED INTERNET. You have 2 OUTSTANDING REFERENCES including ONE financial reference. There may be a small damage Deposit required.